Eric Maxim Choupo-Moting had a moment he’d like to have back in Paris Saint-Germain’s match against Strasbourg on Sunday. Choupo-Moting — who also plays for the Cameroon national team — somehow missed what is probably the easiest goal opportunity of his soccer career with the match tied 1-1. 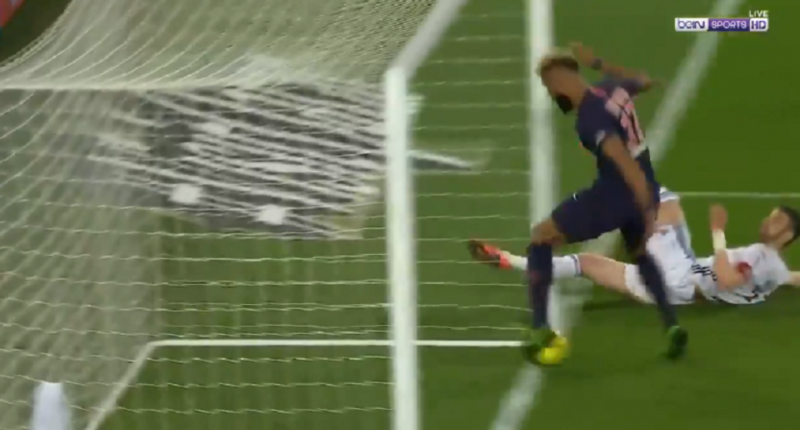 And it would’ve been a Paris Saint-Germain goal had Choupo-Moting just gotten out of the way. The match ended in a 2-2 draw, and the incredible goal-line miss cost Paris Saint-Germain the chance to lock up the Ligue 1 title. What makes the miss even crazier is that Choupo-Moting actually scored the first goal of the match.